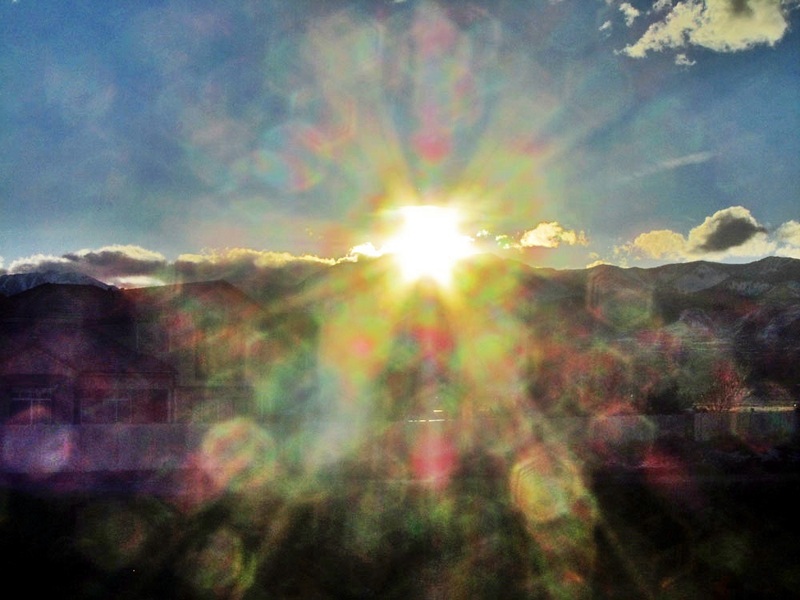 Today is the last day to receive a 2 Reiki Healing Attunements package for only $88. Regular price of one is $55. Two at regular price is $110. The $88 special for 2 is a 20% savings plus you get to receive concentrated support for any intention on any and all levels – physically, mentally, emotionally, and spiritually. A Reiki Healing Attunement amplifies the energy available for healing and helps dissolve any energetic resistance and blocks, so the Reiki energy can work more quickly and more deeply to promote growth and integrative healing, as well as aid the creation and alignment for manifestations to take place. Like with anything, the more of an active role in partnership you meet the process with, the more you will experience as a result. It also helps to cleanse and release the old that no longer serves, which means that if any uncomfortable things arise or intensify with this process, it is a sign that change is in effect, as it is calling up the old so that it can be moved through and let go of for the new to emerge. I know everyone is going through some level of transition, some more intense than others, and this is involving some pretty big stuff that can knock you for a loop for a bit. So the Reiki Healing Attunements seem a natural fit to support rebalancing and to help move through the changes with more ease, as well as to help move through things quicker, if you so choose to embrace the process that is involved with that. You can contact me at tania@taniamarie.com if you’d like to set up your Reiki Healing Attunements. Due to schedule conflicts with students, I had to shift the back-to-back Reiki training workshops on the 6th and 7th to just a Reiki 1 and 2 Accelerated workshop on Saturday, June 7th. 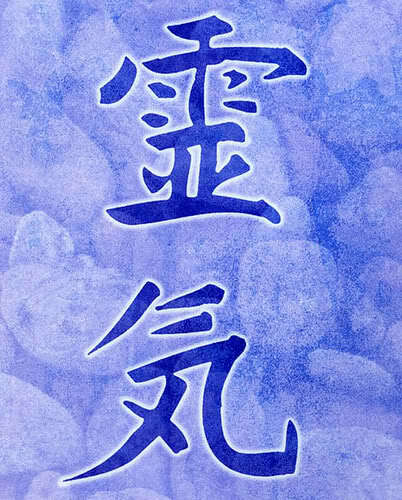 Reiki Level 3 Master Teacher Workshop to be Announced for likely July or August. I will keep you posted on that. So if you were unable to make Friday’s workshop, perhaps Saturday will work out better for you. Remember that past students are welcome to join for review and practice. With Friday, June 6th freeing up, I am planning to host a free Reiki share evening instead, for any past students who would like to come for practice, fun, and connecting. This will be a potluck style gathering – vegan friendly dishes please – from 6:00 to 9:00pm. I know many of you don’t have the opportunity to practice on others and so I’d like to provide you the space to do so, while we can also share experiences, support one another, explore questions, or simply “RECEIVE”, which is often not what we’re accustomed to doing. Or perhaps give, if you haven’t been in the position to do so. Please RSVP by this Monday, June 2nd for either Friday’s Reiki share or Saturday’s Reiki 1 & 2 Workshop. You can contact me at tania@taniamarie.com with questions. Looking forward to the fun and expansion!! I had a lot of fun working with and creating the energy of these pieces for my lovely client. 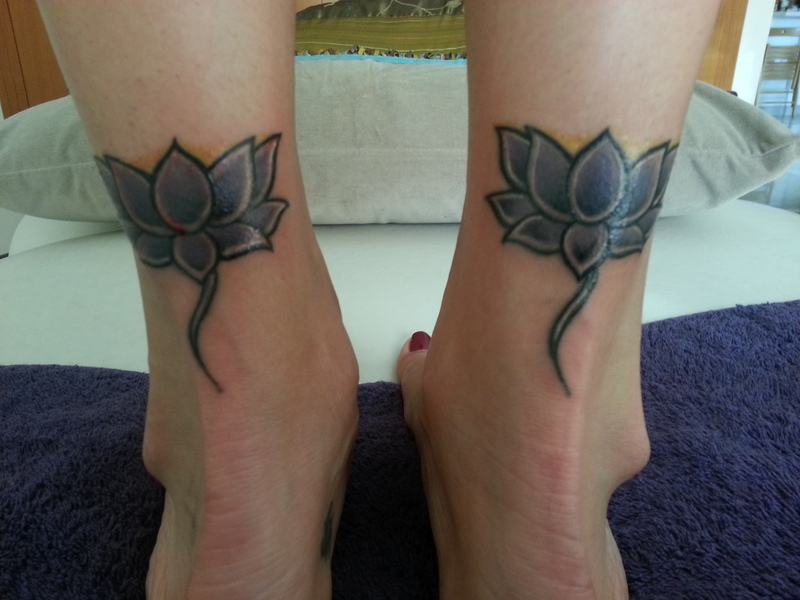 They were created to enhance simple Lotus tattoos that she already had at the back of her ankles, which she wanted to shift the energy of (more representative of her now and what she wants to embody and create), as she hadn’t been satisfied with the pieces when they were first executed. It brings me great happiness to hear this and honored I could assist her with what she wanted to create. You can see the original designs in the image here, that I was given to work with. The rest was a process of her sharing and me tuning in. 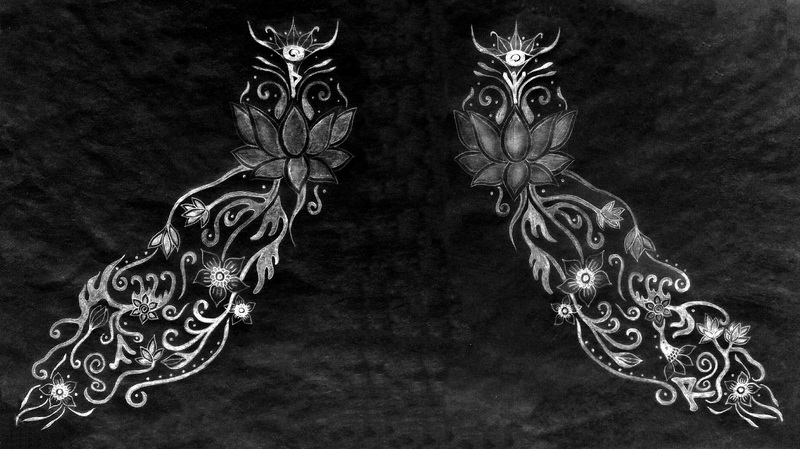 The way I created these were like mirror images, since the Lotuses she had were already as such, but with a couple of modifications that would make each their own unique energy. I first had to make a rough sketch of the Lotuses to the measurements I was given, in order to be able to work with them and create a flow. So I did that first and then started integrating the new extensions and additions to each that would embody the energy that was coming through and felt to be most empowering for her. The one that flows to the right, of course is for the right foot/ankle and the one that flows to the left is for the left foot/ankle. I integrated four Runes within the designs. Each design has two Runes embedded in them and each design also has a different little being. The left foot has a Faery and the right foot has Kokopelli. Both Faery and American Indian energy was very strong for my client, something she has been in tune and working with. It came to me right away that both of these images would be part of how she walks through life, and would assist the energy she is working with and carrying “forward” as she moves through her journey. 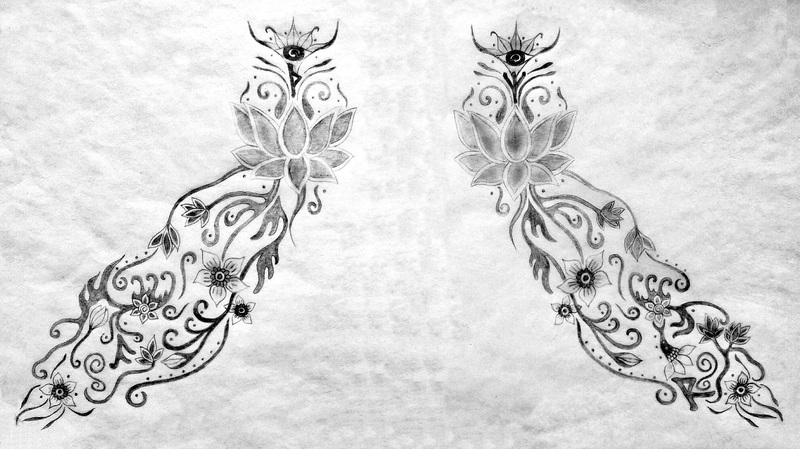 The designs are in a Mehndi design flow to work with the Lotuses and to go with the design quality she is drawn to. I wanted anything that was put in as symbolism, to blend in and only stand out, if you know to look for it. So everything is hidden and “encoded” so to speak, in unique stylized versions. I wanted each to be similar, but unique, so just a few changes to each of the little beings was done to make them connected, yet different. The Faery felt good for her left foot, since this is the side connected to the right brain and the intuitive, creative and healing qualities she has within. So the Faery energy can communicate with her more via strengthening these aspects of herself. And I felt Kokopelli for her right foot because it is connected with your left brain which is more action oriented and putting energy out in terms of the work in how she expresses herself, whereas the other is more inward. Kokopelli is a source of wonder, music making, dancing and spreading joy. He is known as a healer, prankster, story teller, and fertility god. His hunch back is said to represent a sack he carries that contains seeds for the harvest, as well as songs he carries and beautiful rainbows. His flute symbolizes the music that shifts seasons from winter to spring – symbolic of our own embrace of change – as well as brings the rain for successful harvest – again supporting our own journey in productive and beneficial ways. He felt important to support her major transitions she is going through and the journey she is taking on her path to bring good fortune, lightness, joy, her creative self-expression, aid her in dancing through life more and transitioning with greater ease and harmony. Also to help lighten things up so that she can embrace being here on Earth more, find things more fulfilling with a new perspective, and help her to let go easier and find the humor and fun in things. He will also help her connect to the Earth and be in “rhythm” with it. The designs themselves are very Earth Mother connected, as they embody the roots, blossoms, and foliage of her embodiment. And as they flow down from the back of her ankle and around the sides to her feet, they ground, root and keep her balanced and in flowing motion of the “dance of life” – just like Kokopelli and Faeries know so well to do. The spirals of course are about the cycles of life and flow. So the right one has Kokopelli, whom you can find near the tip, and he will come to rest on her foot. He has a Lotus head and plays a Lotus flute, his body made of vines/roots and more Lotuses, as well as his arms that support the Lotus flute. 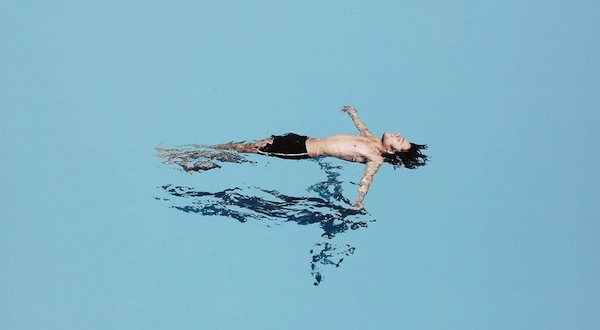 His core body is comprised of two opened, blossoming Lotuses, which again speaks to something in fruition and the “actualized” experiences supported through the male channeled energy of the left brain. But in simple terms, Raidho provides having the foresight to make the right choices, the rhythm of you being connected to the rhythm of the world, and the forces of life moving and dancing. It also governs living in the present, access to inner advice and following the inner compass of the heart, movement within your natural abilities, consciousness of natural processes, mastery of circumstance and control of situations, taking the lead, creative rhythm brought into your activities, protection while traveling, clear connection and follow thorugh between decisions made and immediate actions. Each of the Lotuses also have a symbolic design above them. Each again are the same, but they have within them a different Rune that is embedded in the design. I’ll get to those after I show you where the Faery is. The Faery is on the left foot, near the bottom, just like Kokopelli. They share the same Lotus head and vine hair, but the Faery instead has graceful vined wings rather than a hunched back, a Lotus bud at her Solar Plexus body core (which speaks to the feminine energy of the right brain in how it is cultivated from within and its power emanates from that birth origin, to be supported by the male into action), and lovely vined arms and legs, similar to that of a butterfly, or dragonfly. Between her arms is the Rune Ansuz. This Rune is the rune of knowledge and communication, voice of the Universe, helps you learn and teach new things, helps you open your mind and speak things clearly. Ansuz also governs all powers of conceptualization, powerful and magnetic expression through communication and expression, acquisition of creative wisdom, inspiration, ecstasy and divine communication, the ability to reason and analyze, connecting and networking with others, listening to oneself and one’s own particular inner-voice. Then back to the top above the Lotuses. I created a design/symbol to draw the energy up. So there’s the roots and stems/vines drawing the energy to the Earth and grounding, but also now we have the energy being moved up and also to receive from above, as much as from below. I see these as personal symbols (which my client had wanted created unique for her) of higher consciousness, extensions to her Crown/Lotus energy that are receiving, and as well to provide her with clarity and present awareness, to keep her feeling safe and providing the knowing of protection always. The design incorporates an All-seeing Eye near the top, with spiral center that rests between the two extended arm vines of the very upper Lotus. And below each Lotus that has extended feelers/like lashes to the eyes – for sensory perception – there is an embedded Rune. The Right one has the Rune Algiz and the left one has the Rune Thurisaz. Both assist protectively. Algiz offers protection, wards off so-called “evil”, and offers opportunities for growth. Algiz heralds that things are coming to fruition that you’ve been working on, new relationships and experiences to enrich your life with positive influences are coming into your existence, and the knowingness of always being protected with wisdom and vision as your allies. It governs your higher self and awakening, as well as aligning with the divine plan, activating the higher self, communication with divine entities and other worlds, facing fear with courage, protective teaching force, strengthening life force through courageous deeds, drawing energy from Source. On the left you have Thurisaz and it gets its name from the god Thor. It offers powerful protection and assures you that you are not alone. You are supported, you just need to ask for help and it will be there to assist and provide you with what you need. It governs having breakthroughs, strength, destruction of enemies, awakening of the will to action, breaking resistance of blockages in body, mind and spirit, increased potency in romantic relationships, focuses psychic energy clearly, synergizes right/left brain processes for generating powerful realization. You can research these more and explore other uses of the Runes, as this is just surface scratching for some insight on how you can utilize symbolism. But these are the four Runes that loudly spoke for what my client was wanting assistance with and that would be empowering at this time in her journey. I can’t possibly write everything, but I think this gives you an idea, and of course you may find hidden gems and things you see in the designs yourself, as everyone has different eyes they see with and it will speak in different ways to you at different times. But what I see as themes are, “Dancing Spirit” which is a name my client shared with me as one of her Indian Guides and how this speaks of an aspect of her, a journey she is on, power symbols unique to her, protection, guidance, vision, flow and joy, coming into her fullness, empowerment, approaching everything with lightness and being able to accept all parts of herself, having much support and wisdom all around and within, the dreams she is hoping to manifest, and the spirit guide energies that she works with for healing and service to others. There is currently a waiting list, which I am moving through as quickly as I can. I can only provide a guesstimate on timing. You can easily make your deposit at the link provided below to embark on this journey in partnership with me. A beautiful message and innocence to begin your day with, by allowing the purity of your creative self-expression to light the way. Let this kind of authenticity pierce your soul. There is a challenging aspect to this New Moon in Gemini, as it is a Neptunian New Moon, which means that although we are feeling ready to clarify our thoughts, ideas, feelings, and actions, the dreaminess of Neptune in Pisces can result in potential fog, unless you can embrace and flow with it, engaging its creative ability to help you to imagine greater and more possibilities than you may have arrived at. Otherwise, you may get caught in the confusion and illusion, remaining stuck in believing the fantasy and seeing what you want to see, rather than your authentic truth. So rather than experience rude awakenings from denial of self and others, we can engage our truth by remaining grounded, while keeping open to higher potential. Be willing to take the risks with the knowing you are supported. Neptune energy can also create that “Oneness” experience to everything and that could keep you flowing in this sort of suspended ocean of spaciness. Perhaps this may be part of my own shifts I’ve had in my Crown and Third Eye area (aside from being very Cosmically engaged these days) where I’m becoming even more fluid in my experience of everything to the point of liquid fluidity. This doesn’t have to be a deterrent, as it can, if harnessed, help you to relax into greater flexibility and flow when the so-called chaos feels unbearable. Rather than over-work the mind and nerves, allow the energy to move through you. All of our “stuff” is coming up and out, and while that seems a bit icky, it is also so truly wonderful, as it reveals that the transformation is more than well on its way. 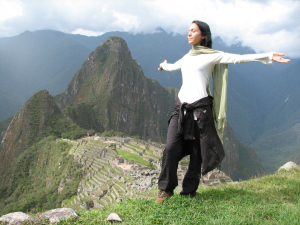 This is a time when many are experiencing or seeking new starts in some or all areas of life, and starting to embrace the true freedom of what these entail. Going with the flow of your heart guidance is always a good bet and releasing attitudes, while changing your actions as a direct result, will align you more consistently. You may experience new things in the realm of communication, ideas, thoughts, mental patterns, travel, and technology – all Gemini ruled. It’s also a time to be mindful of your hands, arms, shoulders, lungs, and nervous system that are equally Gemini ruled. 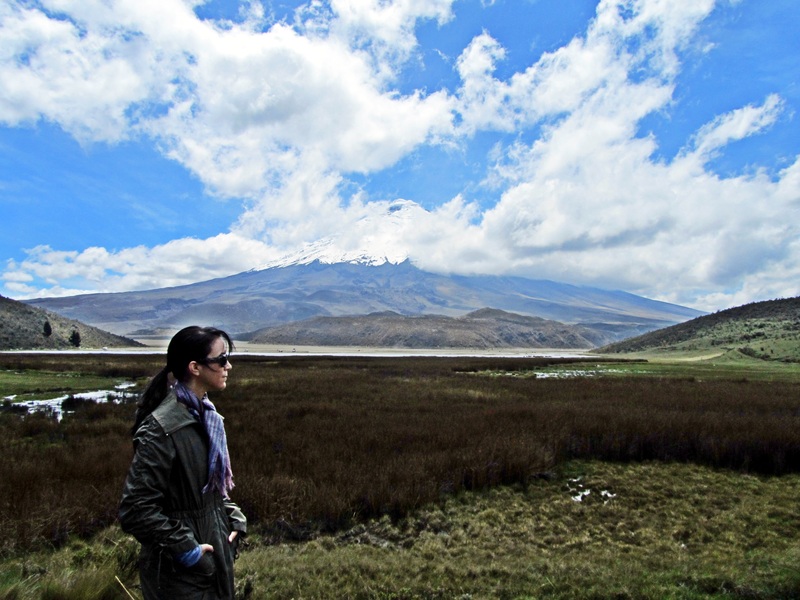 Keep balanced and breathe through the experiences, so you don’t overwork your nerves, and so that you can avoid any verbal lashing out or challenges to these areas. Pinpoint where you’ve been stubborn and unyielding, as you engage different perspectives with the Gemini energy to expand your ideas. If others still feel angry or stay stuck in theirs, that’s their choice. You have the ability to choose your own reality that can keep you moving forward into new potentials of greater freedom, which in effect will aid them in doing the same by your example. Think butterflies that constantly move from one flower to the next, spreading the energy of their fullness in action. This is a time to create new understandings, agreements, commitments, and overall new sense of freedom and clarity. Detachment becomes a focus. This is something I’ve been engaging more and more, which truly does move me through the energy much more quickly. When something unexpected happens that triggers a feeling, I quickly find myself able to experience the freeness available in the situation. Rather than it being debilitating and limiting, creative energy is meant to be moved through and realized that yet greater things are in our potential to create. What “was” no longer matters. Only what “is” in each moment truly does. So listen to what the needs of your body are expressing. Be gentle with yourself, rest, eat and move your body well, spend time outdoors, express your thoughts and feelings in writing if not able to share verbally, engage your creative energy, engage in meaningful reflection, quiet time, and communication with others, and keep present in the awareness of your breath and stories running in your mind. Just because someone engages an argument, doesn’t mean you have to energetically meet them. Detachment and present awareness of your own truth will be helpful. Curiosity and wonder is always supportive too, as is doing things that calm your nerves. This involves patience and self-awareness, as well as honor for the space others have to express themselves. Neptune’s influence can assist us in enhancing our connection to our insights and intuition, but the key is listening and trusting it when it gently whispers. To help any spacey feeling that is being more of a deterrent than an aid, ground yourself and immerse in nature. I can’t share that enough. Your connection with Mother Earth is vital in creating well-being and harmony that will have wide-reaching effects beyond simply yourself. And don’t limit yourself. Neptune also provides that far-reaching ability to see expansively, and along with Gemini’s capacity to see two sides, you can either choose to get stuck in indecision, or you may be able to propel into untraveled territory of opportunity because you have the benefit of looking beyond limitations. Here’s a reblog of a post I shared on Facebook that Laura Bruno posted today. Thank you to her for bringing it back around, as it DOES feel like a very supportive message to spread and reiterate right now. I find many, including myself, making big decisions and the only guidance needed is to listen within to your authentic voice. 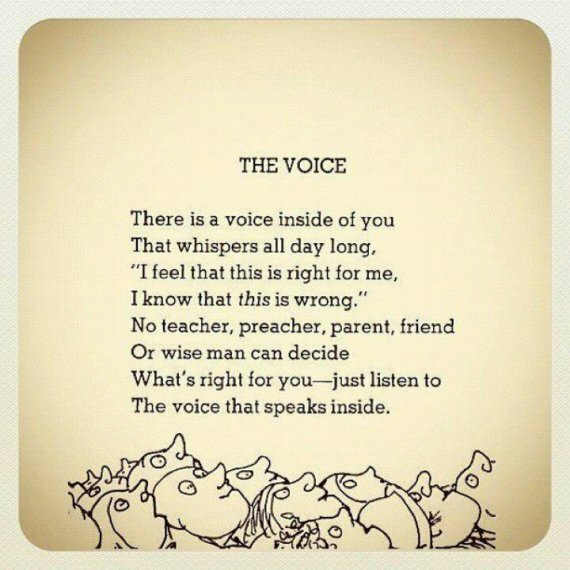 The “voice” also has another meaning to me, as I find it to be a powerful vehicle for self-transformation. So not only is the subtle intuitive voice one to honor, but our unique voice that creates a personal song can be life-changing to express. Thanks to Tania Marie and Shel Silverstein. For some reason, I felt led to click through to Tania’s public FB page today and saw this, even though I’m not on FB. Perfect message for anyone wavering on big decisions! May all possibilities be open to you…..
Just one more week left on May’s Inspired Specials of the Month. Summer’s almost here! Time seems to be a theme of things lately, not just in terms of shifting our focuses on how we perceive it and relate to it, lessening up on our limiting and anxiety-producing ideas surrounding what it means and releasing our ideas on controlling it, but also in terms of actually shifting time and perhaps even (for some of you like me) jumping timelines and experiencing parallel realities. I know that in the last couple of weeks I’ve had the experience of opening another portal here that created “slip-through” of an existing parallel reality that was quite interesting, but not less than unnerving for my little companion, Joy, who very much acts as guardian of this reality and our sacred space. I guess there’s a theme of “10” between today and yesterday’s post on “10 Spiritually Transmitted Diseases“, so here goes another. I posted this on Facebook yesterday, which got a lot of resounding yes’s, and I thought it was such a great article that I wanted to share it here on my blog with you all as well. This is an article by Paul Hudson that delves into how the way you live and approach your life DOES make a difference. Paul points out “some” key things that are practiced consistently as a “way of being” by people that I personally would have to agree with, as these are part of my own experience and I DO love my life. Do any of these ring true for you? If not, and you are experiencing some challenges you’d like to change, how might you adapt more of them into your life?